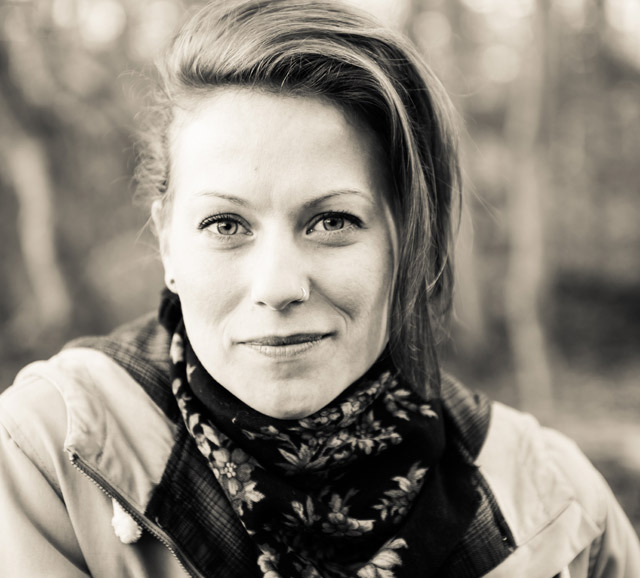 Michelle Elrick is a poet and author originally from British Columbia. She is a graduate of The Writer’s Studio at Simon Fraser University where she studied under the direction of Betsy Warland, Miranda Pearson, Daphne Marlatt and others. Her poetry has appeared in Contemporary Verse 2, Event, Poetry Is Dead and on CBC television and she was a finalist in the CBC Poetry Prize in 2015. Her second book of poetry, then/again, is hot off the press from Nightwood Editions. Of her new book, acclaimed poet Jordan Abel says, “Elrick’s work is not only a deeply thoughtful exploration of the interstitial spaces that comprise our understandings of ‘home,’ but it is also a meditation on what the self is constructed from. 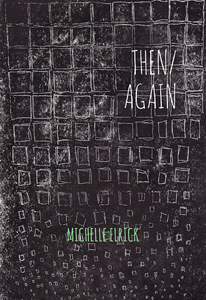 then/again is an exceptional book.” In this interview, the now-Halifax-based poet discusses her influences, her new book, how we look at the past, and all that went into creating then/again. When did you begin the poems that make up then/again? I began writing about place in 2012 while working with a place documentation project called “Notes from the Fort: a poetic of inhabited space.” I produced a lot of writing during that time, but the work was rough, note-form, and not the type of work I was interested in publishing. Wanting to go further, I started to cut, paste and collage these rough notes into long, lyrical poems. I saw a new form take shape and heard a new voice emerge through this process, which excited me. At that point, I went back through some very old poetry looking for more raw material to work with. Some phrases date back over 15 years, to my early writings as a teenager. Is part of your book a sort of architectural autopsy? The idea of an architectural autopsy reminds me of Gaston Bachelard’s book The Poetics of Space, where he performs a sort of literary psychoanalysis on “the house.” Attics, basements, corners, drawers — he mines these spaces for a metaphorical understanding of the relationship between being and place, or dwelling. I was definitely inspired by Bachelard’s work, especially during the early stages of writing then/again. Yet as my book started to take shape, I became less interested in analyzing space and more interested in animating it. At a certain point, I left Bachelard to follow Dr. Frankenstein. How has your work in film influenced your writing? Using short film as a way of making poetry has made me a more daring writer. Both film and poetry rely on images for their structure. Those images have the potential to mean something for the viewer/reader. What they mean is often entirely personal. Working with cinematic images has taught me that not everything needs to be said or shown. When there is room in a poem, there is room for the reader to collaborate with the poem in making meaning. Did any of your chapbook remember the old log house find its way into then/again? No. While the book and the chapbook both take on memory, home, and place, I felt it was best to let them be separate publications. remember the old log house (As We Try & Sleep Press, 2013) is a topographic poem that uses the form of a map to imagine/illustrate a geography of memory. It’s published as an accordion-fold map on semi-transparent bond paper and can only be fully read through the paper, by holding the poem up to a light source, or by reading it in a mirror. To publish this piece in book form would have limited it to such a degree that a lot of the magic would have been lost. It makes a great companion to then/again as it goes deeper into the story of the Elrick emigration, which I write about in the book. How does your new book address the past? In then/again, I write the past using the present tense, which has the effect of unsettling the narrative and engaging the speaker in the act of discovering what “once was” as if it is only now unfolding. The past is also present as the subject matter of some poems, notably in the series “Invisible Houses,” yet here again my past houses don’t appear as fixed realisms, but morph and twist into new, sensed things. When I chose to write about home I was intentional about not using memoir to fix the past in history. I was more interested in how the past is experienced in the present, conscious that each time I remember I am experiencing what was then, again. The effect is a poetry of places as they are, in flux.